Having a healthy, positive relationship with your child is crucial for many reasons—even discipline. When you have a healthy relationship, your child will strive to do his best under your leadership. Think about it this way: would you be more motivated by a mean boss you didn't like or by a helpful supervisor whom you respected? If you're like most people, you'd do your best work when you're under a great leader. Parents who provide good leadership and who have their child's respect are also more likely to motivate their children to behave. One of the best ways to be a good leader is by giving your child lots of attention. Daily doses of positive attention reduce behavior problems. But that doesn't mean you have to devote every waking hour to your child. Instead, quality time is key to strengthening your bond. When kids receive regular doses of healthy, positive attention, they reduce their attention-seeking behaviors. Kids are less likely to whine, ask the same question over and over, or start poking at their sibling when they've been given regular doses of positive attention. A child who doesn't get much attention won't care when she's sent to time-out. And selective ignoring won't work if your child feels ignored much of the time anyway. 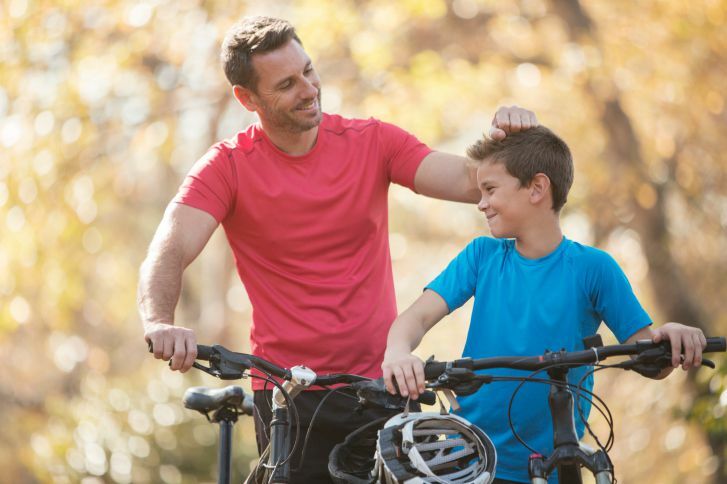 Additionally, positive attention helps build a healthy relationship with your child. When you have a tight bond, positive consequences, such as praise, become much more effective. Provide each child with 10 to 15 minutes of your undivided attention each day. For some parents, that may not sound like much. For others (especially parents with multiple children) giving a child one-on-one time can be a bit of a challenge. Set aside time to do an activity together. Play a board game, engage in imaginative play, or play with your child’s toys together. For older children, go for a walk or just spend time talking. When possible, allow your child to pick the activity. Avoid using electronics, such as playing a video game, because the point of your time together should be about doing something that requires you to interact with one another. Remove distractions during your time together. Shut off the television, separate yourselves from other children in the house when safe to do so, and silence your smartphone—it's just for a few minutes. Show your child that she has your complete and undivided attention. Avoid asking too many questions. Quizzing her with questions like, "What color is this?" can make your child feel like she has to perform. And asking questions like, "How was school today," can cause your child to shut down when she's trying to play with you. Comment on young children's play. Be a sportscaster who gives the play-by-play. Say, “Oh look, you’ve put the bathtub on the roof,” instead of, “Why would you do that?” Try to relax and step into your child's world. Let your child's imagination run wild. Resist the urge to correct your child's pretend play. If he wants to color an elephant green or he says cows fly airplanes, don't argue. Instead, say, "Wow, that's a wonderful green elephant," or "Those cows are pilots!" There may be times when you're so frustrated by your child's behavior that you don't feel like spending any time together. You might even think your child doesn't deserve one-on-one time. But, it's important to keep building that healthy relationship. So spend time with your child even if he's had a rough day. For parents with several children, it is best for each parent to get individual time with each child. If this isn’t possible every day, consider trying to ensure that each child gets individual attention from at least one parent each day. Try to view positive attention as an investment. Putting in more time now can save you from having to put in even more time disciplining your child later. If your child exhibits behavioral issues during your time together, you can respond as you normally would. For minor behavioral issues, such as whining, consider ignoring the behavior. Bigger behavioral issues may require a brief time-out. When you establish regular quality time together, your child will look forward to spending time with you. And he'll be more likely to follow the rules and listen to your directions. And when you do have to give him negative consequences, they'll be more likely to be effective when you have been giving your child regular doses of positive attention. Leijten P, Gardner F, Melendez-Torres G, et al. What to Teach Parents to Reduce Disruptive Child Behavior: Two Meta-Analyses of Parenting Program Components. Journal of the American Academy of Child & Adolescent Psychiatry. November 2018. How Can Parents Prevent Behavior Problems in Their Children? Can Positive Reinforcements Help Fix Behavior Problems?